I'm extremely excited for the year ahead. This year I have the chance to save money, go and visit new places and just become a better person. I can't wait to document everything for you guys to all read on my blog as it will be a super exciting year and one of the best years in terms of blog content on my blog so make sure you stay tuned for that. Anyway, as I'm sure a lot of us are back to reality now with work and facing reality again so to speak here are five different ways of beating the January blues. Something I've been doing since this year has begun is heading outside for long walks and jogs in the mornings or in the evenings with music. I think it's the perfect way to just prepare for the day ahead as you will have a clear mind and can just prepare mentally for the kind of day you're going to have. It also gets a bit of fitness in there for the day as well. Where I live there's a massive park with a little nature area and a stream and park and it's just so lovely, quite and peaceful. I could stay in there all day. It also has a little basketball court there as well so if I ever need to vent or take my anger out on something then that is definitely the place to go for me. It just really calms me down and makes me feel relaxed. If there's one way to get really pumped up about the year ahead it's to sit down and write down a list of things you are proud of an have achieved in the last year. A couple of things for me include reached 1500 followers on my blog and 290,000 views. I also landed one of my dream jobs working for British Airways. Now that it's a new year and I achieved a couple of major things in 2015 I now get to chase after new dreams and try and achieve more this year. It really makes me excited for the rest of the year. Just because the festive season is over doesn't mean we still can't indulge in our favorite sweet treats now and again. If you can't really make things off the top of your head then invest in a cookbook. Most things we all love to eat like cookies or cupcakes take little to no time at all and it's something we can all indulge in time and time again. You don't just have to make sweet treats as well, why not treat your family to a special home cooked meal made from scratch? I just find cooking and baking is one of those activities that can be extremely relaxing. Now I know it's not called the January Blues for no reason. January is one of those months where after Christmas nobody really has any money and we are struggling to get buy on the little we have left. However, it's that time of the year where all the sales start appearing in the shops and there are some amazing bargains out there at the moment. There's no reason why you can't treat yourself to a new bag or pair of shoes or even a trip to the cinema to see the latest film (Star Wars is amazing if you haven't yet checked that out but really want too). I've put myself on a bit of a spending ban because I'm going on holiday at the end of this month. I get paid whilst I'm on holiday which isn't until the 27/28th of this month and I just cannot wait! Yes January is the time where we are all motivating ourselves to be healthier and move more however as it still gets dark early I see nothing wrong with having a few days of just chilling in front of the TV watching your favorite films and TV shows. If anything it's one thing I'm starting to look forward to on my days off. As I work practically every single day it's a very rare occasion when I get more than 2 days off in a row. So when I do I make sure to spend at least one of those days relaxing in front of the tv or my laptop with my favorite TV series or films. It's the perfect way to just relax and is definitely a way to recharge for your next block of days at work. So there we have just a few ideas that can help you beat the January blues. I hope you are all having an amazing 2016 so far. If you've gone back to work or college, uni or school this week that it's not been too stressful for you! If you know of any more ways to help beat the January blues then be sure to leave a comment below. 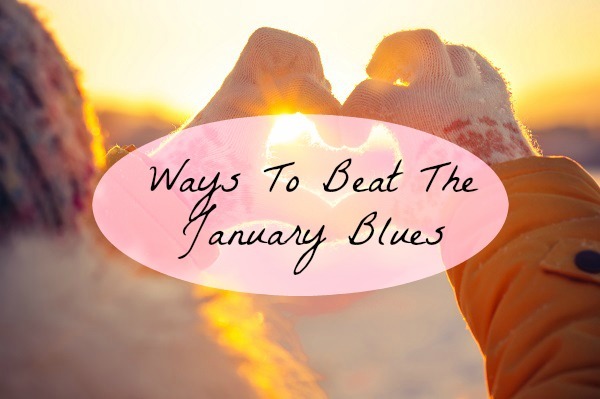 How do you beat the January Blues? Really lovely ideas Fleur! :) I definitely need to get out more and stop being so lazy. I live near the beach so I don't really have an excuse not to! The money thing is so true, although my birthday is in January so the celebrations aren't really over until that is - plus everything I wanted in December is in the sales haha! Great post! I love all of these ideas! January can defiantly be gloomy with all the rain and it being so cold.